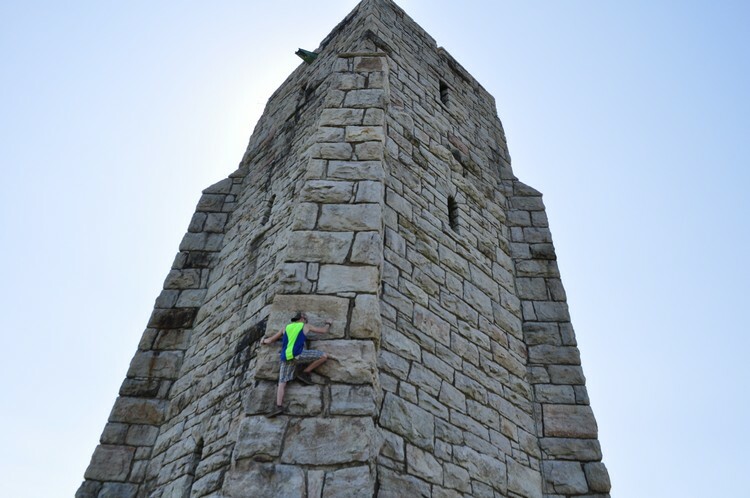 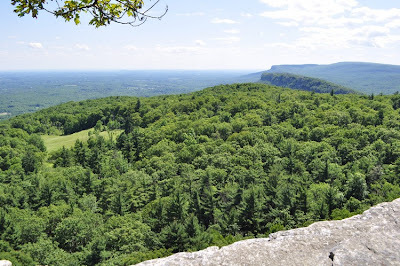 This is a great hike, and perhaps the best scramble in southern New York State. 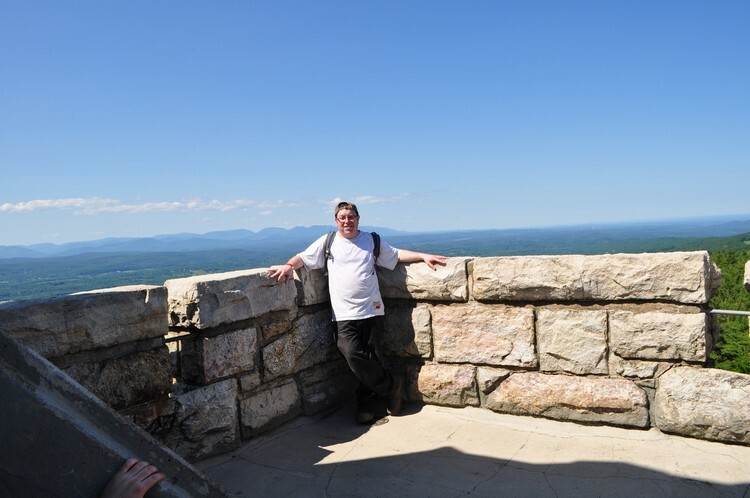 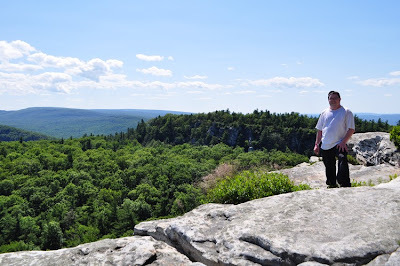 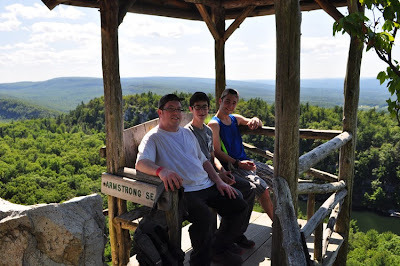 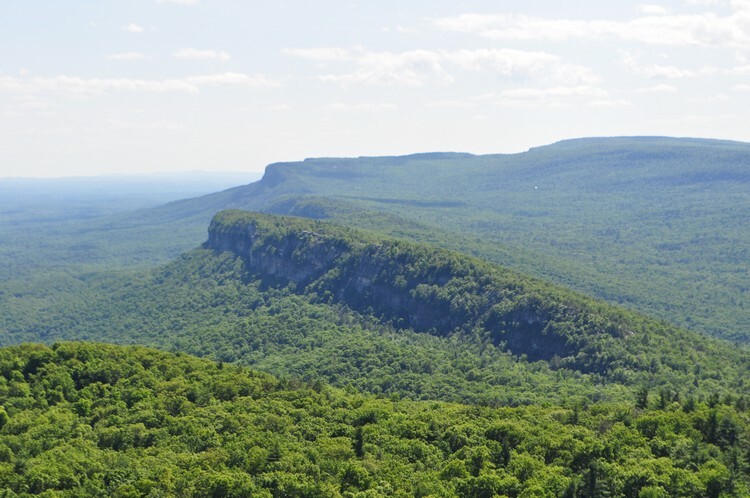 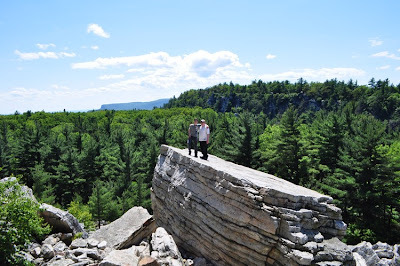 The Shawangunk Mountains terminate at the Mohonk area, and they provide extremely dramatic scenery of sharp white cliffs and giant fallen boulders. 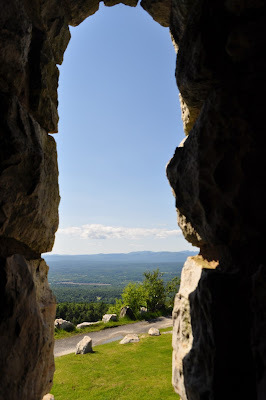 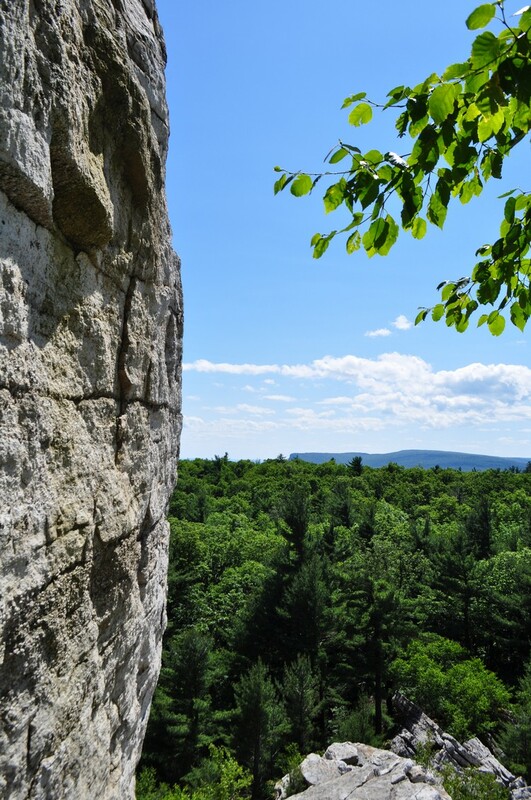 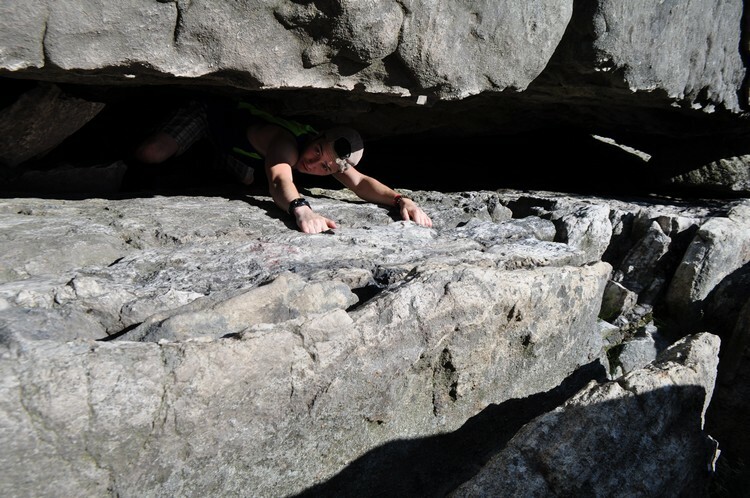 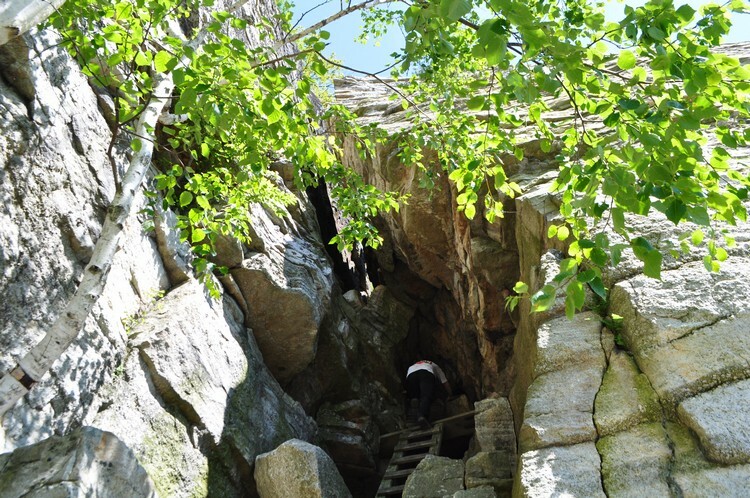 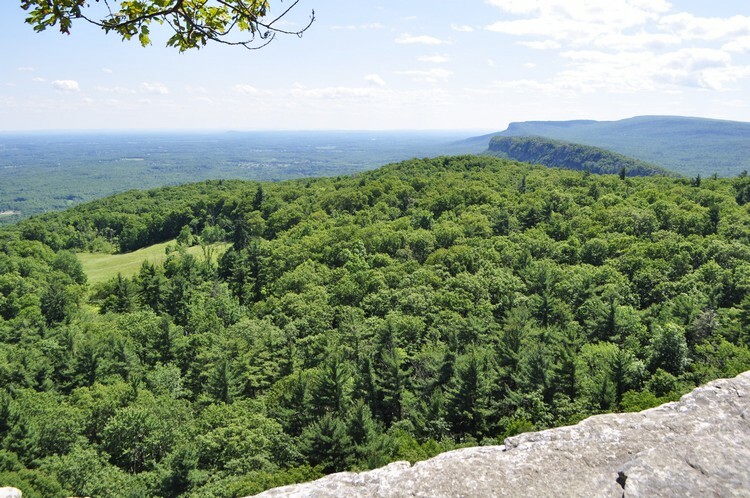 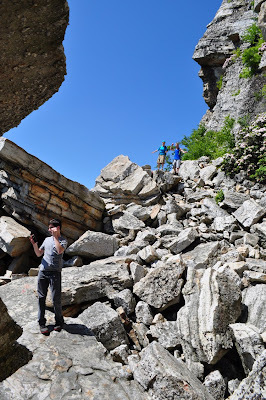 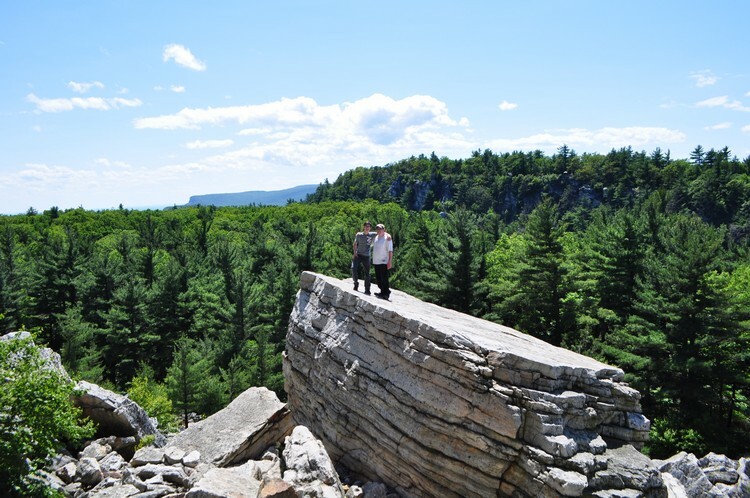 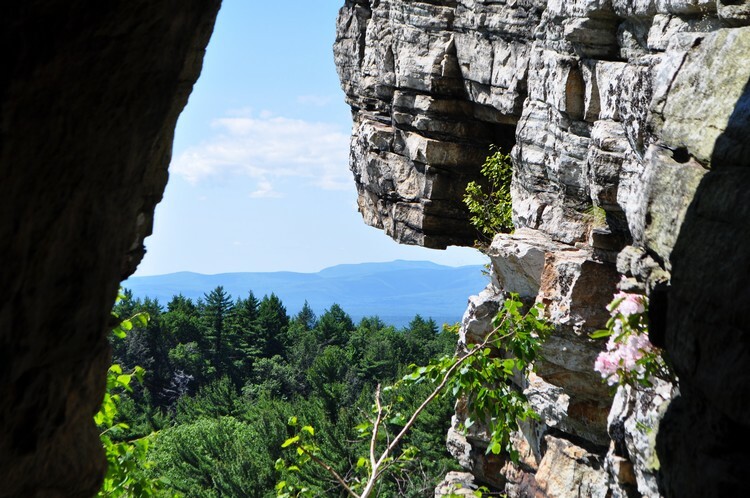 The Mohonk Preserve has many scrambles and challenging trails through these cliffs and fallen boulders. The best one is the Labyrinth Trail with the Crevice, which is what we took for this hike. 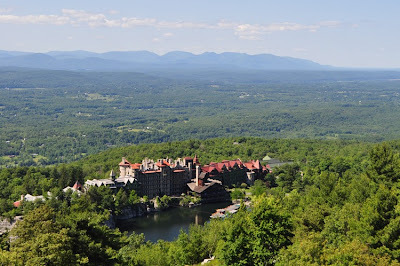 Although Mohonk gives you access to the entire property, they charge an awful lot to enter ($20 for a day pass per person!) 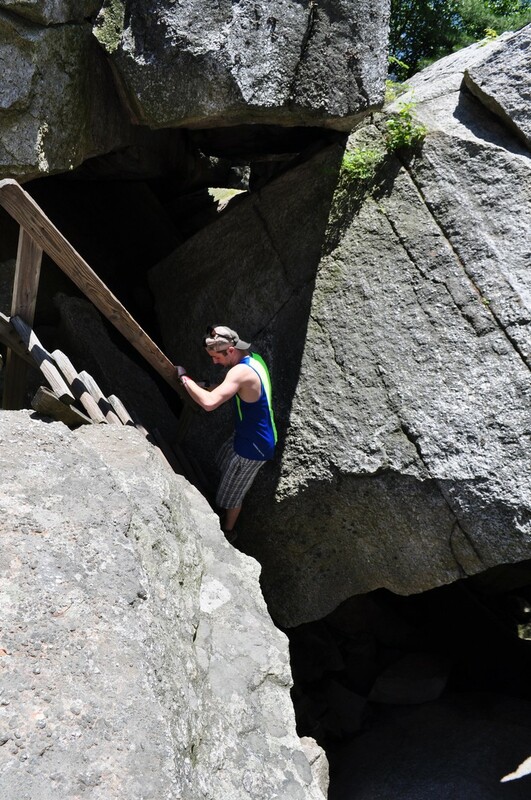 and make you park all the way down. 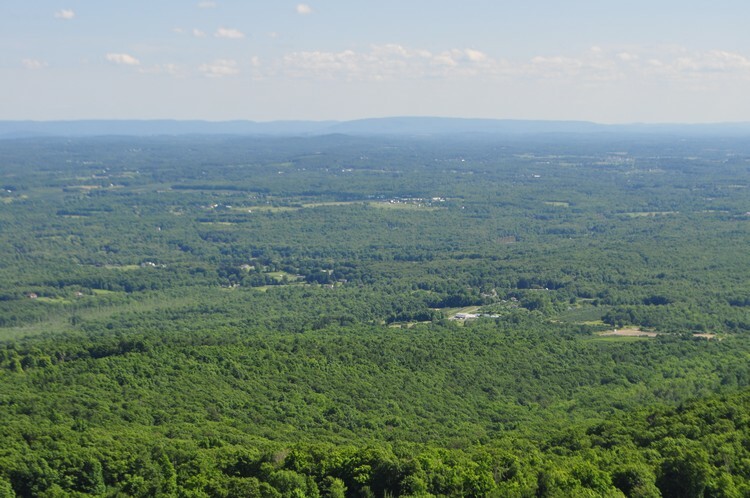 This is very disappointing and I hope they lower their prices. On weekdays you can pay $5 more and park up at the hotel, and on weekends there is a slow shuttle bus that goes from the parking area to the hotel, but my experience with this bus was that it is inneficient. 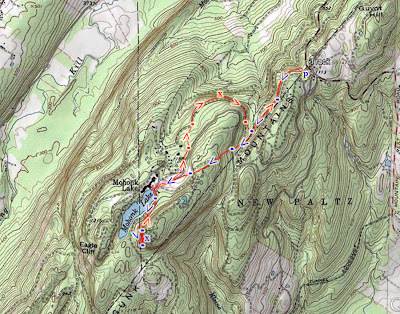 We parked at the parking area on Mountain Rest road, took the Huegenot Trail to Whitney Road, North Lookout Road, and then the Glen Anna Path the Fox Trail. 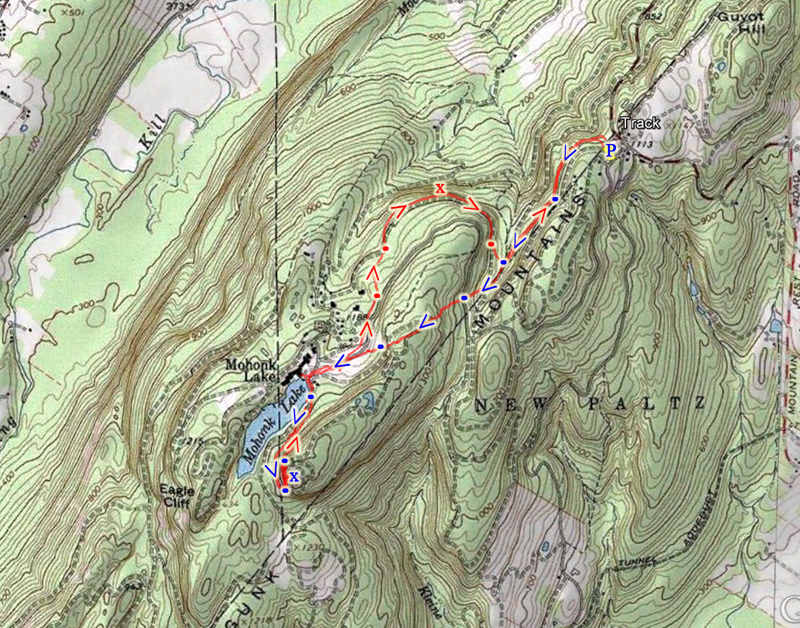 This is the most direct route to the hotel area. The Fox Path is a small climb up and slightly challenging. 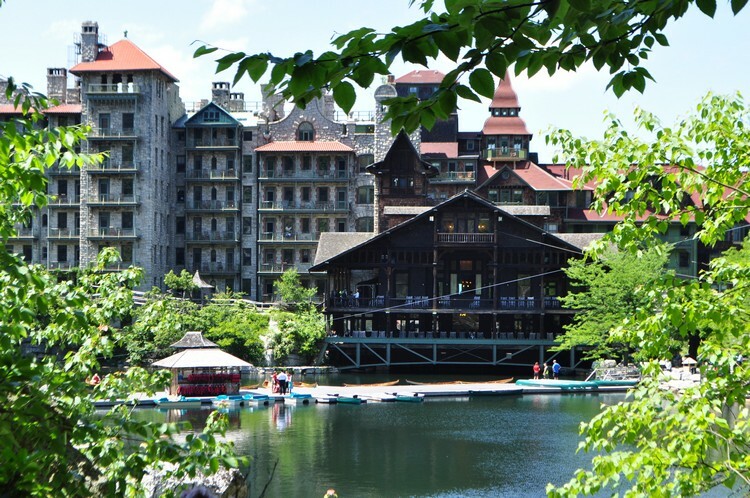 From here we walked on the hotel grounds through the botanical gardens and to the lake to observe the large trout that are stocked at the dock. 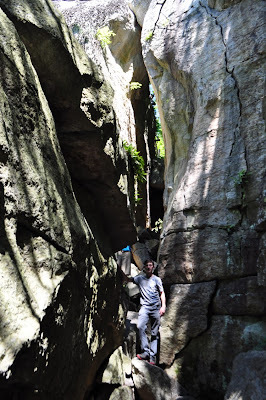 The Labyrinth Trail starts here, going in and out of giant fallen rocks, caves, and small crevices, until it reaches an area on top of the boulders for a boulder hop. 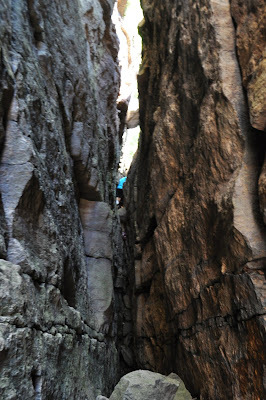 After this part is the Crevice, a giant crack in the rock where the trail goes through on ladders narrowly squeezing through to the top. At the end of the Labyrinth Trail we stopped for lunch at the tower, and then header back via the Sky Top Path to the Hotel Grounds, and walked along the road tho the Tallman Path, which we took south to Whitney Road, Lookout Road, and back to the Huegenot Trail to the parking area. Large Fallen Rock on the Labyrinth Trail. 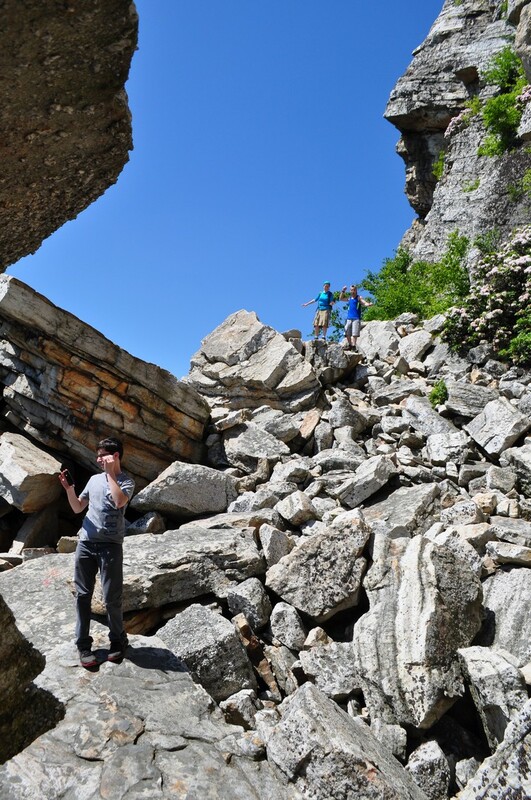 Walking on the Rocky Area. View from the Tower Facing East Towards the Hudson Valley. 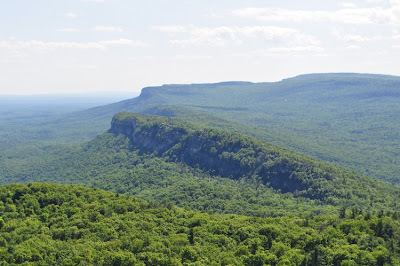 Schunnemunk Mountain is in the Distance. 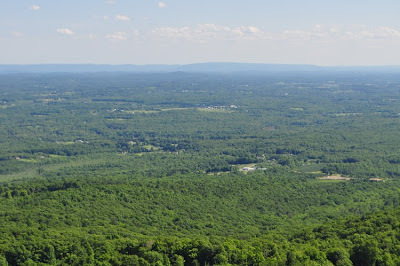 View of the Trapps and Millbrook Mountain from Sky Top.